Your resume is the first opportunity for a prospective employer to find out why you deserve to make the interview list. Today's job market is fiercely competitive and if your resume features one of these seven deadly sins it could be the reason you keep missing out on that amazing job opportunity. Poor spelling, grammar, and punctuation: Even spell check can still miss simple errors,so carefully read and re-read your resume. 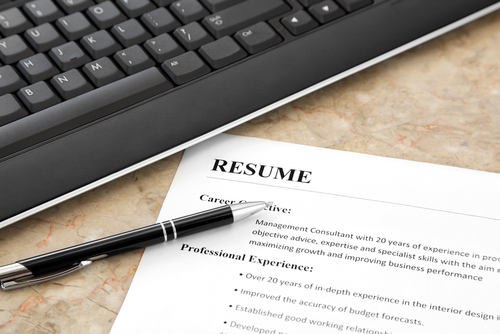 Research developed by Accountemps (A Robert Half Company) found that 76 percent of executives would disregard a resume that features just one or two typos, which is why it's vital to print out and check your resume carefully. Read it aloud to make sure all your sentences makes sense. Finally, ask a friend or family member to check it too. Going over the top: You want your resume to give a prospective employer a taste of who you are, but be careful not to make it the difficult to read withbusy graphics and fancy fonts. An overly ornate resume that is hard to read will not get a second look, keep personal touches simple and easy to read. Lack of job specifics: Don't just list company names, job titles and dates of previous employment. Employers want to see, at-a-glance, what you have accomplished. For example, if you have experience as a retail store manager, state clearly that you were responsible for recruitment, training, a team of employees and the annual turnover of the store. Lazy circular resumes: If you are applying for multiple jobs it can be tempting to create a generic resume, but time spent tailoring your resume to each specific job will demonstrate a genuine interest in the employer's business and its goals. This requires researching the company you are applying to, so you understand what they might be interested in seeing on your resume. The long and short of it: While there is no set rule for the length of a resume, it is generally considered unacceptable to submit a resume of less than one page, as this could appear rushed and is unlikely to tell an employer much about you. By comparison, a resume that runs for longer than two pages is likely to lose the interest of the reader unless the additional information is absolutely vital for the role you are applying for. Outdated or missing contact information: No matter how great your resume is if you have incorrectly listed your contact details, the employer will not be able to invite you for an interview and will simply move on to the next name on their short list. Each time you update your resume check and correct any mistakes or missing digits. Poor use of keywords: If you are sending your resume electronically, it is crucial to include keywords. Modern technology means that employers increasingly rely on keyword database searches and software to find the right candidates quickly and easily, so don't get left behind. Read the job description carefully, as well as the company's ideals and goals to see if there are any common keywords. If these keywords apply to your situation and experience, make sure to use them well. You won't get a second chance to make a first impression during the application process, so make sure you present your skills and experience to the best of your ability. Keep in mind the small physical details that can make your resume stand out as well, such as the quality of paper you use and the printer you choose to use. If your resume is printed poorly on cheap paper, the potential employer might think you're not taking the job seriously.